Builders Public Liability Insurance Quote Click Here! 3rd parties property or injury you are found legally liable for. Builders Contract Works With/Without Public Liability Insurance Quote Click Here! Bluewell Insurance Brokers have been helping out the building industry for many years. With access to some of the cheapest public liability insurance rates in the country and access to top providers of contract works insurance, you can be rest assured that we have the cover you need for your construction insurance at the right price. increased cost of working, are you in an area where if there was an incident is there going to be restricted access situation to remove debris. this is especially critical if you are on a hill or near water, where cranes may have difficulty getting to the site or on water where you may require the use of a barge in order to access the site. If you need help please call our office on 1300 669664 and talk to one of our staff today and they will assist you in completing the details required to get a quote. Was great working with Brody to get my RTO insured. Very prompt and quick responses over emails and calls. The process was super easy! highly recommend. After having Public Liability Insurance with another company we were delighted when we found someone (Michael Greenhatch) willing to listen and tailor our policy to our needs. Big PLUS with the price. Good Job. We just now called this services for our catering & Cooking classes, Sam was so professional and asked the right questions which some of the big names on TV like choosi & Compare the market didn't care to ask, and been on the right mindset and also quick on understanding about our time limitations and didn't waste our time. We would definitely recommend getting in touch with them and get a professional help besides yourself. PS; we hope we can work with this team as the quote comes. Brilliant Sales and Service from this company. The representative, Aidan, was professionalism personified, and got us an absolutely top notch insurance package, that beat all other competitors. Bluewell Insurance Brokers made the process so easy, as it is one task I dread having to complete every year. Will definitely use Bluewell Insurance Brokers again, and I'm already transferring other insurances to them. Great service received by this firm. I had the pleasure to deal with Michael, very prompt and professional. 2 mins was all it took Michael to give me a quote over the phone for my business. Very competitive and trustworthy. Highly recommended. Aidan was a great help and despite all the times I emailed him and called him due to us having the wrong information, was happy to change details and found us the public liability insurance we were after. And then Alexandra was a great help as well once we realised we needed more cover and helped us fix all the documents with the insurer to make sure everything was perfect. Happily recommend them to talk to about all your insurance needs. Michael was very helpful with my insurance. He was able to answer all relevant questions and gave me pointers in areas that I wasn't too sure about. Highly recommend Michael for any insurance quotes, questions, etc. Michael, your reliable prompt services saved us weeks of otherwise wasted time. You done a great job mate, and you've been so professional and great broker to deal with. To people who read this review, you can rest assured when dealing with this business that you will receive the best service in the market. Thank you! Quick response via email then phone. Brody was professional & able to provide additional information regarding both liability & indemnity insurances within Disability Ndis field for Short Term Support. Payment method made easy & certificate received in less than 12 hours. Very helpful and well organised. Michael managed our inquirey and helped us through every step to achieve a positive result. Would definitely recommend for a tailored experience. Brody helped me organise public liability for my film production and was incredibly helpful. He made sure the policy suited me exactly! I will definitely be recommending Brody and Bluewell Insurance Brokers to anyone I know seeking insurance in the future. Michael has been very reactive and managed to find me an insurance company which would cover me. As i have a very particular/unsual business and potential risk of injury for my customers it was challenging. But Michael was not discouraged and was persistent. Great job! I spoke with Brody regarding public liability insurance I required for a construction job I required it for. He was fast to respond to my queries and got everything sorted within a couple of hours. Very happy with the service and professionalism. Thanks Brody. Brody's arranged public liability insurance for my new business. He's fast, conscientious and courteous - I couldn't want for more. Luke and the team at Bluewell Insurance Brokers are fantastic! Luke was always very quick to reply to any correspondence and was only too willing to assist when I asked to have quotes changed. Bluewell were able to get the right insurance for me at a good price, they were always willing to answer any questions I had and didn't try to sell me anything I didn't need. Thanks Luke. Brody from Bluewell is fantastic! Made everything very simple and helped me select the right insurance for my business. No pushy sales tactics at all! Just clear, honest advice. Brody was really knowledgeable and he quickly arranged the insurance that was best for us. Going through the terms I found only one exclusion, which doesn't apply to me anyway. And importantly, the premiums are much less than I expected. Thanks, Brodie. Spoke to Brody and he sorted me out with my public liability insurance, he was down to earth and explained the details in a way that we can all understand which is very helpful. I would speak to him in the future and his price was very good too, as I am a sub contractor and need to get things sorted quickly and efficiently. I shall deal with him in the future, thanks. 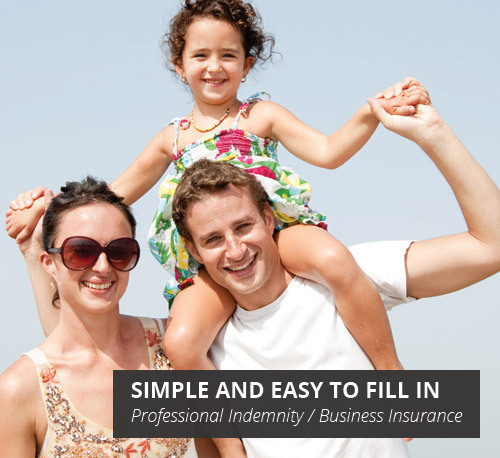 Luke from Bluewell Insurance Brokers helped me to obtain professional indemnity insurance. It was a really simple, quick process and he managed to get me a great price. Thanks so much Luke, I would highly recommend you and use you again. Contacted Bluewell for a quote and got a quick reply. I felt confident dealing with Benjamin who dealt with my inquiry in a professional and friendly manner. He got back to me with a good deal and everything was wrapped up in good time. Definitely recommend them. The team at Bluewell are awesome. I already recommend them to some of my friends. I happened to deal with Lucas and Alex, both very professional and the after sales are fantastic. Very happy with them, if you are looking to purchase an insurance well look no further Bluewell is the one. I filled in my details online, and Lucas McCarthy promptly called me to discuss my requirements for the public liability insurance I was seeking. Lucas was very prompt with responding to my mails and calls, clarifying any queries I had. The whole process was very smooth, and it was a pleasure working with Lucas. I have used Lucas McCarthy at Bluewell Insurance Brokers to help with my business insurance needs. These days, it seems to be a minefield to make sure you have the required and appropriate coverage. I was impressed with Lucas, who knew what was required and was happy to explore options and come back to me with options. This was exactly what I needed. I rang Bluewell after finding them online and was transferred to Simon Keplinger. I was a bit apprehensive as I wasn't really sure what insurance I actually needed. Simon was amazing. Very friendly and explained every option available to me. He offered to let me go away and think about it however I was so satisfied I asked him to prepare an invoice which was received in my inbox within 30 minutes. Extremely professional, knowledgeable and efficient. Could not recommend more. Thanks Simon! I was unsure what category I fell under for cover. I called and Luke was very thorough and helpful. I now feel confident in my level of cover and I'm very satisfied. Ben provided prompt service and excellent rates on quotes. He very responsive to our needs and made the process simple. Very happy with the product offered and the customer service. I highly recommend using Bluewell Insurance Brokers Luke Mckean was and absolute star in helping me find the right policy and was so patient with answering my million questions. He made me feel confident I was choosing the right insurance to cover my business with PL. The price was also hundreds of dollars less than others I had searched and they didn't even come close to Lukes outstanding customer service. Thanks Luke! Simon Keplinger was great to deal with. The whole process was fast, easy and convenient. Simon responded to my emails quickly and answered all my questions. I'm very happy with how simple the whole process was. Super friendly and effecient staff. Got the required quote and necessary paperwork within hours of making contact with Michael Greenhatch from Bluewell. The start to end process was friendly, smooth and quick. I would recommend Michael/ Bluewell to anyone seeking business insurance. Luke was awesome to deal with, I needed business insurance asap and he had it all up and running within a couple of hours. Highly recommended, thanks buddy ! Fabulous service made very simple and fast process just what i needed when commencing small business. Thanks again for all your help. Will be sure to recommend you service to others. From start to finish the entire process was effortless for me. What I could not do in in contacting numerous insurance companies Ben was able to do quicker then the afternoon that I was promised he'd get back to me in. And the price, very happy! I will be defiantly be staying with Ben and Bluewell Insurance Brokers. They have covered all of my business insurance needs. Great experience with easy to deal with staff. Varied options with speedy arrangement of policies. Overall a no fuss approach to insurance. Definitely would recommend Michael, he was very helpful and prompt with getting me the right and cheapest insurance for my small business! Excellent service. I would recommend Michael Greenhatch with hesitation for all your business insurance needs. I required comprehensive insurance for a tipper, new excavator & business liability cover. Michael sourced my best option and provided cover within a couple days. Outstanding. Luke was so helpful, our business description doesn’t really fit into the norm and he was able to find us cover that gave us peace of mind that our work would be covered. The whole process for getting public liability insurance was very quick and easy and I highly recommended Bluewell Insurance Brokers for your business insurance needs. Luke was an absolute pleasure to deal with, after being given the run-around due to my financial status by all the major companies I was relieved to find Bluewell Brokers. They got me sorted straight away and at a better price than I had been quoted elsewhere. Great to deal with many thanks. Michael was very efficient finding an insurance suitable for our business. Very friendly and patient to answer all my questions. Excellent service. If you are looking for a Public Liability insurance cover, I highly recommend that you pit stop here! Starting a business is difficult, but these guys made things easier and I was able to get get exactly what I needed without the hassle, one less thing I have to stress about. Customer service is amazing too. ASK FOR MICHAEL GREENHATCH. Michael is extremely professional, reliable and a friendly person to over the phone! Very happy with my insurance. Luke McKean was efficient in getting done what I needed in the short amount of time that I had. Very good service. Michael Greenhatch was very responsive and helpful, great communication throughout the process. Took the time to understand our business and delivered a very competitive product. Michael Greenhatch provided me with an excellent service, I am in a profession that covers many industries so doesn't quite fit into that standard insurance box. Michael made the whole process easy, and he even saved me money.... I would not hesitate at all in recommending his service to any other business. Big insurance brokers could learn a lot about client satisfaction and service as Michael was the only company to call me back. He definitely has my business from now on. Being a young business owner i went into this with little to no idea about public liability insurance. Michael was so very helpful and pointed me in the right direction and now i'm all setup. Would give him a call top bloke, very friendly and gets the best deal possible for your business. Dealing with Bluewell and with Luke in particular has been a very positive experience! Luke was fast to provide me with a very competitive quote for insuring my small business and the process was completely painless! I had contacted a few other broker before approaching Luke. But Luke is the most helpful broker and he acts most promptly. Every point he addresses is relevant and sensible. You will not regret doing business with him. Thank you Luke for you help with my insurance needs. It was so quick from getting the competitive quote to obtaining the public liability insurance. Your service was outstanding! Bluewell Insurance Brokers were able to offer exactly what insurance I needed as a sole trader. Very knowledgeable consultant and efficient service. Thank you. Blue well insurance is definitely a match on what I was looking for in therms of insurance for my business: They offer a great price and different options & conditions for payment. Their phone and e-mail assistance is outstanding! They have a very practical web site that allow you to get a quote, but it did not work when I tried to make the purchase online. So I called their contact number and got help from their staff. They were great, specially Michael and Tess. Both were extremely patient and helped me to get the purchase done. If you are looking for a good price value and great service, I highly recommend their services. Michael did a great job organising my business public liability insurance. Even though the insurance wasn't very straight forward, he went out of his way to source the right policy which suited my business the best. I could not fault him throughout the entire process and feel confident that when my other policies are up for renewal from another broker, He will be able to take care of these as well. Michael was so helpful and responsive to my request for a quote. I could not fault him throughout the entire process and feel confident that I would get the same response should I need to make a claim. I have since recommended him and they too reported a great experience. Michael was great. He had fantastic knowledge, asked the right questions, understood exactly what our company needed and offered us the appropriate insurance for us that would ensure that we are covered in all aspects. Thanks for all your help Michael! Dealing with Luke was an absolute delight. He made the entire process of securing public liability insurance for our small start-up art gallery business pleasantly simple. Luke understood the business and quoted accordingly. The end result was one of complete satisfaction. I have already recommended his services!! i recently asked another company for a public liability insurance quote which was urgently needed, as it was 3pm they informed me they would get the quote to me the next day. I called Michael at 3.40pm, within the hour I had a certificate of currency, and It was $100 cheaper than the quote I received the next day. Excellent service and I definitely recommend Michael to anyone looking for quick quality service. 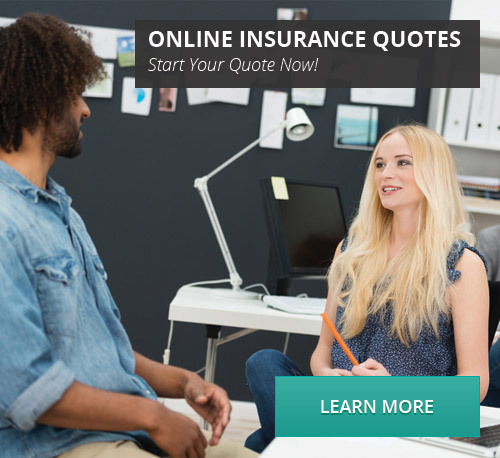 Bluewell offered a great custom quote option with access to respectable insurance companies in my field. Michael answered all my questions and guided me through the process. He was able to get a very good rate for me and upon confirmation, was able to turnaround in a few hours. After delays & uncertainties with other company's, it was a relief and pleasure to speak with the very professional - Luke McKean. Within a very short time my insurance was covered. Easy & Quick service with absolutely no stress involved at all. I couldn't recommend this company enough. My insurance enquiry was sent in by email and handled promptly by Simon. The process was straightforward without complication and the quote was very competitive. Exactly the service a busy person needs. First time starting my own business, Michael Greenhatch made the Insurance side of things very easy! He was very helpful and made the process so easy- Cannot recommend Blue well insurance enough! Thanks Michael and Bluewell Insurance! Very happy with the service Luke has given us. We tried a few other insurance companies but were all unable to help us with what we needed, how ever Luke was able to help us find the insurance we needed. Very happy customers. Luke was very quick, very informative, with an easy going manner. He explained very clearly my choices regarding present cover and future needs. I'm starting a labour hire company(long overdue) with immediate need to cover 6 employees...this could blow out to 40-50 employees later on in the season. He was easy to reach research, and provide options for upgraded cover in subsequent phone calls. An all round top customer experience. No hesitation recommending Bluewell. Dealing with Michael Greenhatch, finding the right policy for my business was straightforward, easy, cost effective and time efficient. He was extremely friendly, easy to communicate with and helpful. Would highly recommend him and Bluewell Insurance Brokers for any business or domestic insurance quotes, queries and assistance. Thank you for a Great first time experience getting a same day response to an online quote for small business insurance, a phone call in a few days afterwards from them in regards to if I wanted to proceed, and along with positive comments about my work lead me to purchase my insurance. Very polite, and definitely not pushy. It was all over and complete within a few hours. Happy to have a certificate of currency as quick as I got it. ? Michael Greenhatch was very helpful in sorting out my PL insurance. He was very quick to respond and provide necessary information. He followed up on things but without any pressure, giving me time to review details fully before committing. Would certainly recommend his services. Luke McKean was incredibly professional. His customer service was outstanding. He was highly informative and placed no pressure on making my decision. Thank you so much for your efforts. Luke was so helpful and knowledgeable. He made the process very easy and answered all my questions. Highly recommended. Michael Greenhatch gives excellent service. Being a small start up company working in a niche field, finding the right insurer is a pain, especially when every second matters. Michael did a job that would have taken me weeks, in one easy phone call. Very happy I reached out, would highly recommend. Very affordable when considering the time and stress saved...! Michael was exceptional in explaining small business insurance in terms I could understand easily, approaching my questions with patience. His product knowledge was outstanding, and my insurance was created efficiently. I will continue to use Michael as my broker. Micheal Greenhatch knows his stuff and understood the specific requirements I needed for my business insurance. He was a pleasure to deal with and very efficient. If the need arises to make a claim, I will be happy if it's as easy as the setup was. Michael did a fantastic job. Got the quote back to me and relevant info as soon as he could. Was a brilliant help. Highly recommend sales services. Lets hope (well hope not on one hand) that if I ever need to make a claim the service is just a great. I can highly recommend these brokers. Michael has been a great communicator and were able to find some very competitive quotes within our tight deadline. Very happy with Michael's service. He is very professional and I received the insurance I required within one day. Very efficient and competitive pricing with comprehensive insurance cover. I would highly recommend this insurance broker. Luke McKean set me up with some public liability insurance at a great price. I am very happy with the service and the quote. I would highly recommend these insurance brokers. Excellent service - Michael was great, helped me out within a few hours, including responses via eMail and phone, my insurance was set up in no time for an appropriate price. Would highly recommend them for their customer service. Can't say anything about claims as I just set it up but sure everything will be fine! Exellent service from Simon who helped me get find the appropriate PL Insurance for my needs. Service was fast and quotes were sorted out within an hour or two. Very happy and can highly recommend. I don't know how claims go as I haven't had to make one. Very happy with the service, I had trouble finding an insurance that would suit me and was running out of options about to give up I made one last phone call and I'm glad I did Thank You Bluewell and a Big Thank You to Luke McKean who was very helpful, fast and efficient in providing me with the information i needed, a friendly attitude and outstanding customer service, a great example of good customer service. Awesome Job Luke Well Done!!! Great service and help and would recommend to everyone. Looking for electrical insurance with some additional specialised cover and I could just not get an answer from anyone else. Bluewell Insurance Brokers did help and in particular Michael Greenhatch was persistent in his search for a suitable policy. I'm very happy with the service i received from Simon he is efficient, responsive and knowledgeable. I required Public Liability for my Inspection business and he found a good cover for a good price, i will use him again. Great people to deal with. Very helpful, great pricing and at short notice. Highly recommend. Very good service, they were willing to help me out of a jam to get a new policy rushed through late notice on a Friday. Very thorough and helpful. Thanks. I was chasing some specialised insurance. I called companies and brokers all around Australia. None of the big companies would offer me cover me and the brokers I contacted never got back to me. Michael took the time to ask me some questions, called me back to clarify a few things and then had a quote back to me that afternoon. Good job Michael! Highly recommended. Really helpful and fast service by all the staff I have dealt with. I will absolutely be recommending to every one I know. Thanks again for your help. Quality customer service for a change. Michael Greenhatch understood our needs and found us the best insurance policy to suit.. and as an added bonus to our pockets, the insurance cover premium was hundreds of dollars cheaper than what I was quoted by an industry insurer for similar cover. Easy completion via email and over the phone. Michael was very helpful and had the cheapest quote for my requirements ,not like other companies which try to give more which your don't need and still be more expensive for the requirements you has asked for.Good job,Michael. The guys at Bluewell were very helpful and were extremely punctual in the delivery of services. Would definately recommend them to other businesses. They were able to get insurance policies sorted in a matter of days even around the holiday period. Such a pleasure to deal with Simon Keplinger. He was extremely prompt with his responses and answered my questions. He is very easy to deal with. We did everything over email which saved me so much time. He was able to find a competitive insurer for our business and the process was straightforward. I would not hesitate to recommend Simon to anyone else looking to source an insurance policy for there business. How much Public liability insurance do you need? Do you require other insurances?